Earlier this month Fairfield resident Jenn Jacobsen and I participated in a ceremonial bill signing for a law to protect student privacy by imposing certain restrictions on the use and sharing of student data. PA 16-189, An Act Concerning Student Data Privacy, will go into effect on October 1. A former educator and the founder of the Fairfield-based grassroots advocacy group Connecticut Alliance for Privacy in Education (CAPE), Jenn has been the driving force in our state bringing the issue of student data privacy to light. 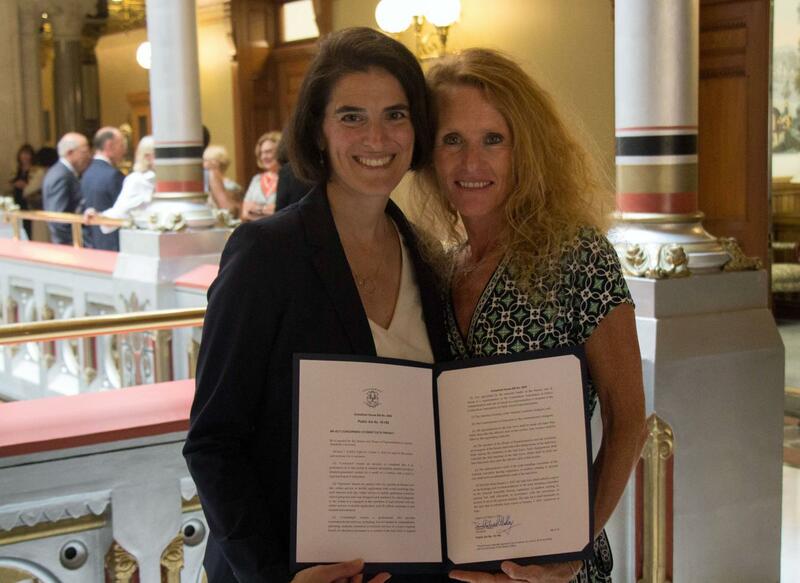 It’s great to see legislation that arose from the advocacy of a Fairfield resident be turned into law. The law restricts how student information may be used by contractors, consultants, and operators of websites, online services, and mobile applications for schools. Companies will be required to specify how they will secure student data and will be prohibited from using student data for advertising unless authorized by their contract. Websites, mobile apps, and other online services are important tools for facilitating classroom learning, but we need to ensure that students’ personal information is secure. This law will give families the peace of mind that taking advantage of online services doesn’t come at the cost of their children’s privacy.